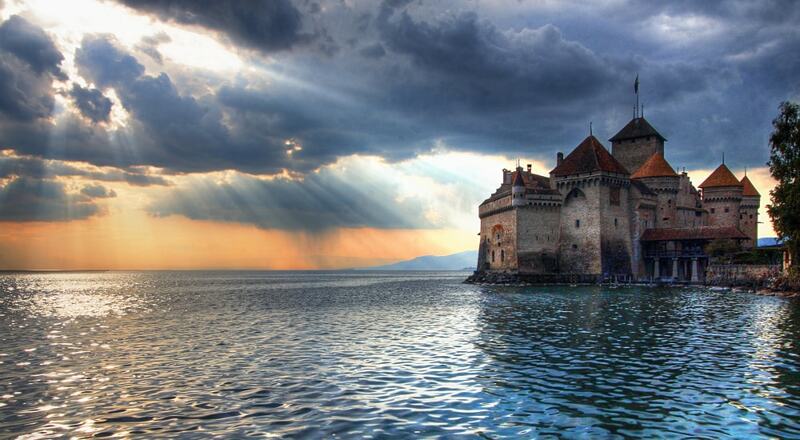 Chillon was made popular by Lord Byron, who wrote the poem The Prisoner Of Chillon (1816) about Francois de Bonivard. Byron also carved his name on a pillar of the dungeon. It is also known to be the inspiration behind the castle in the animated musical fantasy film The Little Mermaid.